Strange forces / Elision Ensemble. 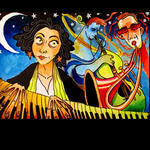 Recorded/performed at: Sendesaal Radio Bremen, Germany, on 3 Sep 09. Liza Lim Tristram Williams 8 mins, 43 sec. Also includes: Aurora / Richard Barrett -- Cercar / Klaus K Hubler -- Apostrophe 2 (pressing down on my sternum) / Evan Johnson -- Because they mark the zone where the force is in the process of striking (or, Second study for figures at the base of a crucifixion) ; What the renders these forces visible is a strange smile (or, First study for figures at the base of a crucifixion) / Aaron Cassidy -- Disfix / Timothy McCormack. Liner notes include program notes and information about the performers. CD: When the sky cries rainbows / Sandy Evans. 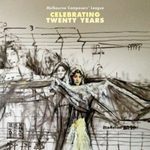 CD: Celebrating twenty years / Melbourne Composers' League. CD: Orbits and riffs / Ephemera.